Marilee Kessler is president of East Vandergrift, PA branches J 126 and S 262, and is also a Pittsburgh District Vice President. As branch officer in 2016, Marilee worked with the Branch Secretary to plan a successful Vilija Supper for S-262 members, complete with a colorfully costumed Saint Nicholas. The branch reached out to the community and invited local clergy of all denominations. At Marilee's invitation, Pennsylvania State Representative Joseph Petrarca also attended. Marilee works to provide creative branch activities, such as the Polar Express Event at the Carnegie Science Center for Junior branch 126 members. The branch has hosted matching funds events. As a district officer, she attends district meetings and participates in planning district activities. Marilee has been substantially involved with community groups on an ongoing basis for many years. For example: She was a board member on the Vandergrift Improvement Program (VIP), and the chairman of the organization committee. This is a 501 (c) (3) Main Street Program. In her work with the organization, she instituted monthly community meetings incorporating Neighborhood Watch in conjunction with the Vandergrift Police Department. Marilee coordinates and assists with many community events. She spearheaded efforts to get the community into the Westmoreland County Redevelopment Authority Land Bank to help fight blight in the community. Currently, she is working with the Penn State Extension Smart Growth with community revitalization / Build a Better Block program. For over 25 years, she has served on the board (currently Vice President) of the Casino Theatre Restoration & Management Inc., a 501 © (3) organization. Marilee is responsible for finding and booking events in this historic circa 1900 vaudeville theater. Her work includes contract preparation, interfacing with presenters, handling event hospitality and advertising, and working closely with restoration groups of volunteers. For generations, the theater has been a mainstay of the community and is on the National Register of Historic Buildings. Marilee is a board member (secretary) of the Vandergrift Area Initiative. This is an advisory board of an Endowment Fund affiliated with the Westmoreland and Pittsburgh Foundations to provide small grants to local charities and groups. Marilee is a Eucharistic minister at St. Gertrude's church in Vandergrift. Identifying a need and creating solutions is exactly the type of leadership Marilee displays, which sets her apart from the average volunteer. After getting tired of hearing about how the community had "gone downhill" and "isn't what it used to be," Marilee singularly organized a public meeting for people to air their concerns, meet each other, and learn about the many organizations active in the community. These meetings continue to be held monthly. 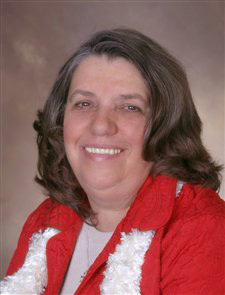 She established and administers a social media site on Facebook called "It's your Community Vandergrift, Get Involved," which is used to present events and meetings, publish ordinances, promote local businesses and fundraisers, and is the face of the local police department for community interaction. Marilee communicates and works with community groups in nearby communities to encourage cooperation and sharing of resources - just one more thing that was not happening before. Communities need more people like Marilee Kessler. Congratulations on being named FCSLA 2017 Fraternalist of the Year!